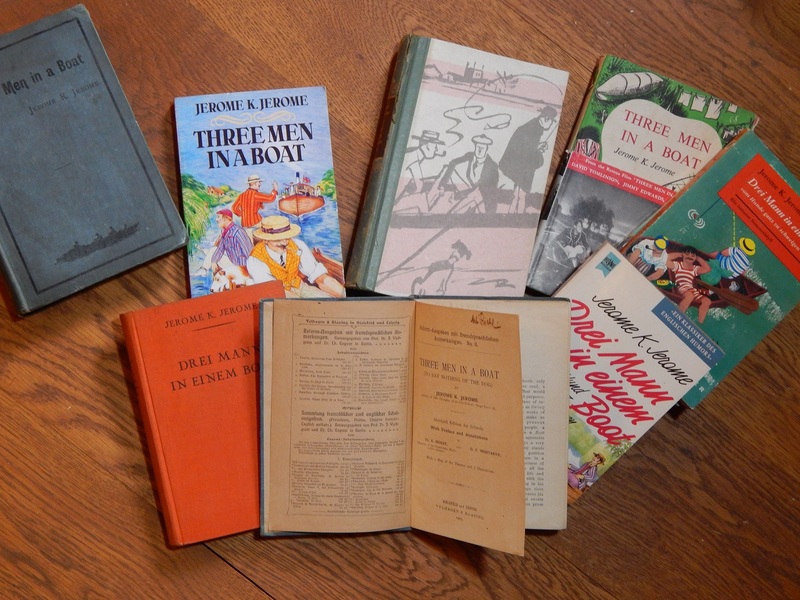 Some editions of “Three Men in a Boat”. From the collection of Der Classic Boat Club e.V., Germany. It was with great pleasure Ralf-Peter Stumme of Germany read Chris Dodd’s series of Jerome K Jerome’ Three Men in a Boat. Ralf-Peter Stumme, a member of Der Classic Boat Club e.V., Germany, is to be considered a typical ‘HTBS Type’. The readers of these pages might remember him as the winner of Chris Dodd’s quiz, which HTBS ran earlier in May. Of course, last week’s five-part series about Three Men in a Boat, which also sprung from the hands of rowing history master Dodd, was right up Ralf-Peter’s alley. 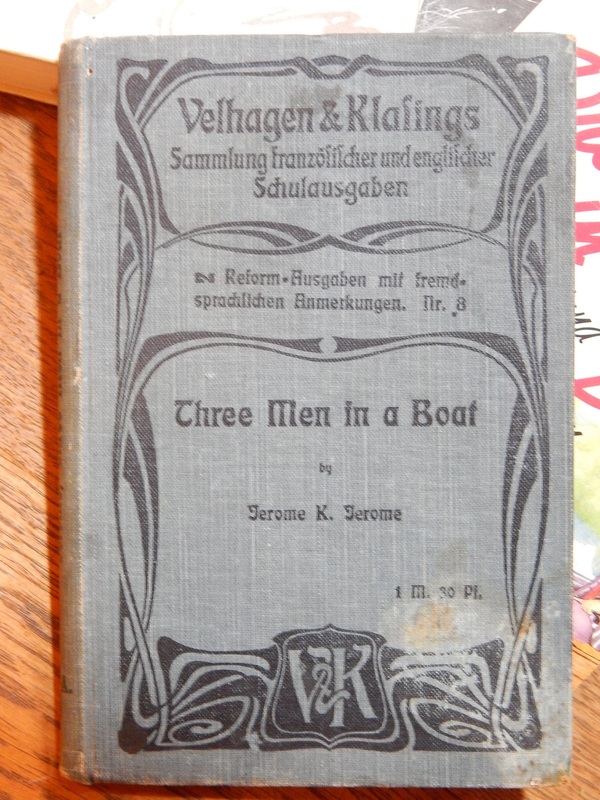 A German ‘school edition’ of “Three Men in a Boat”, 1905. 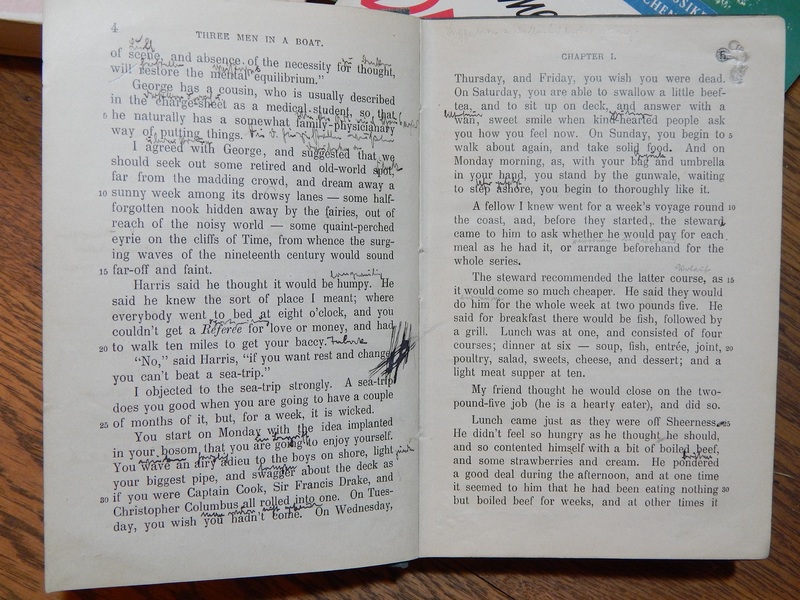 ‘Here is a well-used copy of the 1905 edition of Jerome K Jerome’s “Three Men in a Boat”,’ Ralf-Peter Stumme wrote to HTBS. Der Classic Boat Club e.V., located in Mülheim an der Ruhr, has a very interesting concept as a rowing club. 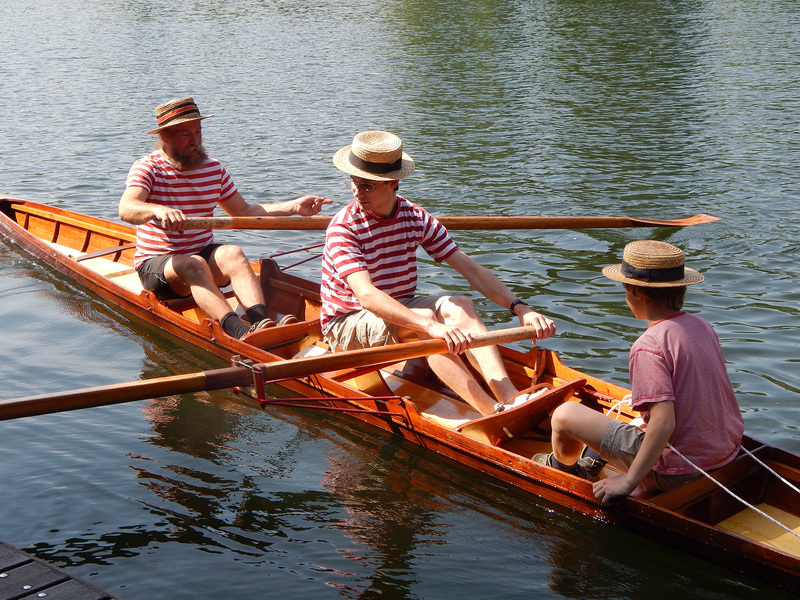 The organisation is promoting rowing in historic rowing boats and aims to preserve the history of rowing and the tradition of building and maintaining wooden rowing craft. On Der Classic Boat Club e.V. website are several photographs of Ralf-Peter Stumme rowing or building/maintaining old rowing boats. Ralf-Peter is here seen in the bow seat of the coxed pair “Im-Perfect”. The other members of the crew are Martin Ohrt (stroke) and Ralf-Peter’s son, Raban (cox). They took out the boat on the water for the first time on a beautiful day in June 2014, which resulted in a 13 km outing. © Photo: Adele Stumme/Der Classic Boat Club e.V. website. 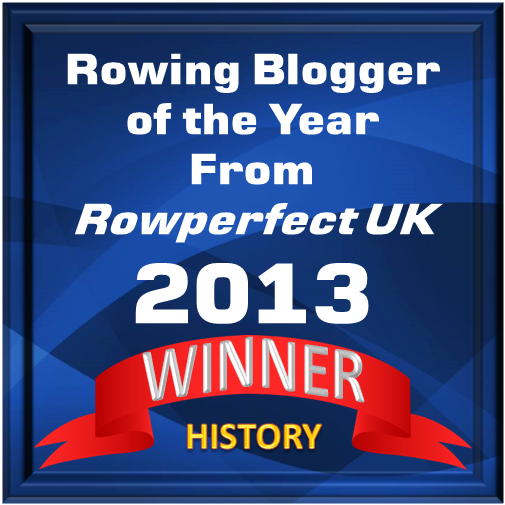 According to Der Classic Boat Club’s website, the organisation plans to open a rowing museum. In its collection is one of the oldest surviving Renneiner, a racing single scull, from 1885 and other unique vessels. In the collection are also other rowing equipment, and literature, pictures and prints related to the sport. By opening a museum, the club hopes to create a cultural institution that showcases the history of rowing and boat building and provides a reference for the social environment of the sport from the 19th century to the present day.